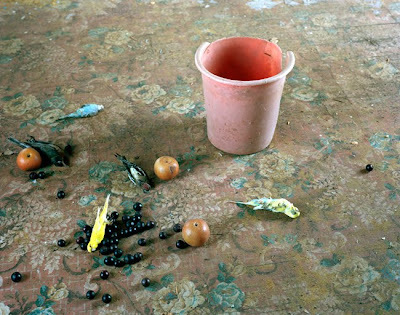 This week we want to share a conversation with Susan Worsham. 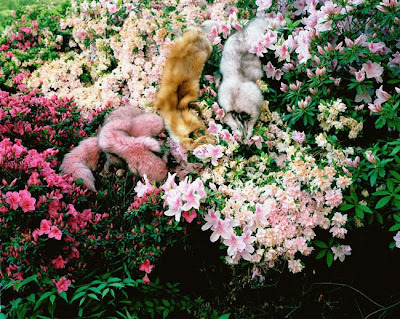 We also had the pleasure to include one of Susan's photographs in our group exhibition at Sasha Wolf Gallery this past May. 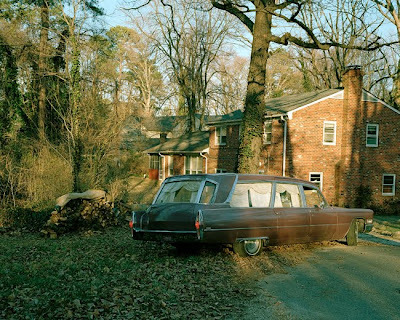 Susan Worsham: I grew up at 15 Bostwick Lane, in Richmond, Virginia. My father was a chemistry teacher at the university, and we lived in a house built on the school's property. We were surrounded by woods and an extended family of other professors and their children. As a young girl I was always collecting stray dogs and naming each one Prince. I could often be found holding a dixie cup full of Kool-Aid powder, with a few drops of water, making a sweet sugary paste for finger dipping. My childhood travels were spent wandering different neighborhoods on my Schwinn, and knocking on strangers' doors with those same sticky fingers. I can remember one such house, where I knocked on the door to ask if I could jump on the trampoline in the front yard. It was the Gibson Girls' trampoline, the descendents of Charles Dana Gibson, the famous illustrator. He drew the ideal woman of the early 1900's, coined the Gibson Girl. I became a constant bouncing fixture on their lawn. When I spent time indoors, it was in front of the big picture window in our family room. It was here that I encountered death for the first time, watching birds fly into the window and fall lifeless onto the front porch. My second encounter was in the third grade when my father died of a heart attack. My father, the man who showed me phosphorescent rocks in glass cases. The man who showed me jars of animals in formaldehyde, from the universities' collection. The man who came to show and tell at my school, and shattered beautiful roses dipped in liquid nitrogen, on our desks. SW: I took my first photography course while studying graphic design in college. My best friend Kristin was into photography, and without her I probably would have never picked up a camera. When I finally did it was a Pentax 35mm that my brother had dropped in a fountain while traveling Europe with my father. I dusted off the camera and took a few more classes, but mostly I kept my photography to myself. It was also in college that I rolled down the window of my Datsun, and asked my first stranger to pose for me. 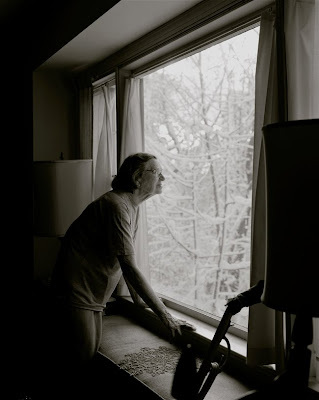 Her name was Lynn, and I have been photographing her for 16 years. SW: I find the color of the outside of a pommelo, and the skin of a pink grapefruit just beautiful. 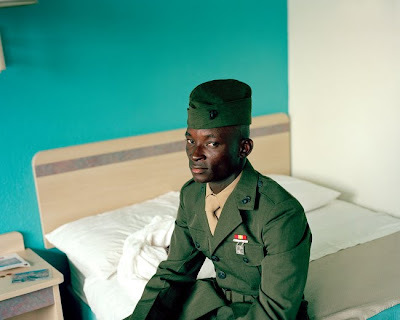 I am inspired by found photographs, especially those from the 1970s. Almost every family resembles a family that I knew growing up. There is also a bit of voyeurism there, looking into a shoebox full of random private moments. Sometimes it is a location that I am drawn to, and at other times a particular person. People inspire me the most, and the moment I first notice them, really look at them. Maybe it was the way that the light was hitting their face, that made me notice. Maybe it was a color they were wearing. The real inspiration comes when they let me into their lives, and share their stories with me. SW: I began the project "Some Fox Trails In Virginia" after my mother passed away. We had not lived on Bostwick Lane since I was a teenager, but most of my old neighbors were still living there. I knocked on the door of my childhood home and asked the gentleman who answered if I could look around. He was a biology professor at the school, and was cleaning out his snakes' cages. When I walked into my childhood bedroom there was a snake on the bed. This image was so ripe for me. 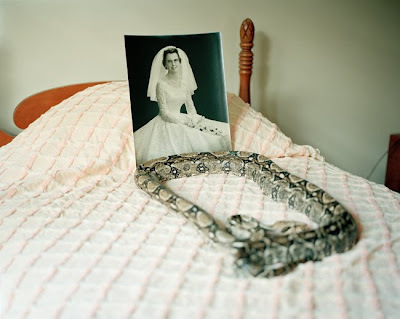 My mother had always promised me that there were no snakes in my room, but now that she was gone there were. I asked him if I could come back the next day and take a photograph. SW: I am continuing to work on " Some Fox Trails In Virginia". I am also working on a new personal project called "By The Grace Of God". It deals with the South, and the hospitality of strangers. It also hits on a feeling that I have sometimes when taking portraits. A feeling that I was supposed to meet a particular person, or turn down a certain road. 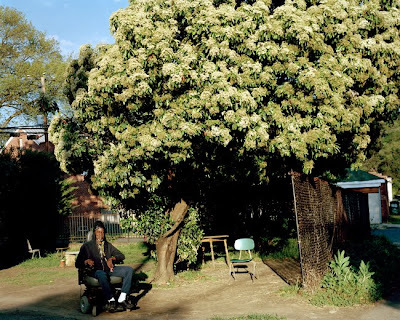 To see more of Susan Worsham's photography, please go to www.susanworshamphotography.com.